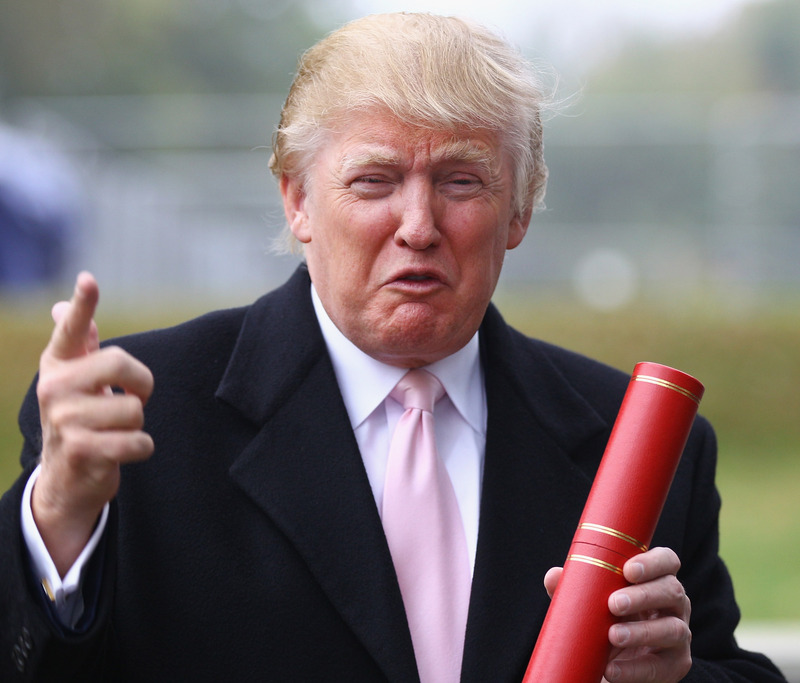 Surprise, surprise: Donald Trump has given us yet another reason to chuckle at his expense. The multimillionaire real estate tycoon with a penchant for big hair and threatening to run for office fell victim to Internet trolling when Trump was tricked into retweeting a serial killer pic. But that's not all. Naturally, Trump, being Trump, immediately threatened the trickster, saying, "Maybe I'll sue." I think it's official: Donald Trump is the king of the Twitter fail. After Twitter user @Feckhead tweeted a purported photo of his recently-deceased parents to the Donald, saying that they had always considered him a "big inspiration" and asking him to retweet "for their memory" — the inspiration part should have been Trump's first clue — Trump obliged. To his credit, that was a nice gesture. However, his generous mood quickly dissipated when he realized that the couple was in actuality infamous British serial killer couple Fred and Rose West. The Wests are considered two of the most gruesome serial killers in history, notorious for abusing and murdering their own children. So, yes, Trump had retweeted a pic of these monsters to his 2.7 million followers. When he realized that he had been trolled by @Feckhead, Trump gave a very Trump-style response. This incident made him realize the perils of being nice, and he may never risk it again. But this isn't the first time Trump has tweeted something stupid. In fact, stupid tweets are part of his repertoire, right alongside his inability to tan evenly. Um, because they need help? Do you know what that is — helping others? Even a self-proclaimed Trump fan shook his head at that last one. Oh, Trump. What are we going to do with you?